These birthday cupcakes are sweet! 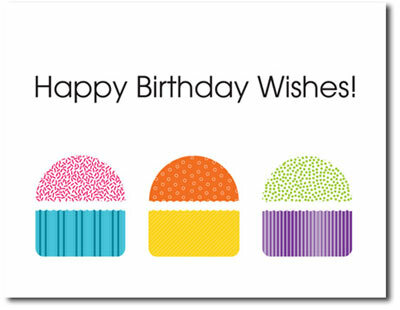 Send delectable birthday wishes to employees, colleagues, friends and family with this adorable card. These cards can be personalized with your company or family name. Please Note: This card is smaller than most Holiday cards and measures 5 1/2 X 4 1/4 inches.